It is with great sadness that I note the death of Sister Mary Kay Lampert, my friend and long-time colleague. After several difficult bouts with cancer, Mary Kay passed away on July 1 and a funeral was held July 11. At the time of her death, we were out of town and I only learned the news today. Sister Mary Kay and I first worked together at Baloney Joe’s, a multi-service center for men experiencing homelessness, and later shared the job of coordinating the activities of Burnside Advocates Group (BAG). We last had the chance to visit in March. Mary Kay was a teacher for many years at Central Catholic High School, and also taught both at Marylhurst University and the University of Portland. She volunteered for years at Our House, a facility serving those with AIDS, and often invited people to join her for lunch at a gay bar across the street from the agency. Sister Mary Kay believed that women should be ordained – I was proud to invite her to preach on the mission of the church when I served Parkrose Community United Church of Christ – and was a strong supporter of unions. My sadness is tempered only by the knowledge that she is with God and that she lived a life fully present with God – working to build the Kingdom and advancing the needs of the least of these here on earth. I will miss my friend and partner of over twenty-five years deeply but know that she joins that great cloud of witnesses that loves us through space and time. Gifts in her honor can be made to the Sisters of the Holy Names Retirement Fund, P.O. Box 411, Marylhurst, OR 97036. Please pray for her family and friends, particularly Sister Rosemary Anne Parker. Liz and I were both deeply saddened to learn this weekend of the passing of Paul Copley, a former teacher to us both, friend and colleague. Paul taught my second year honors history class at Sunset High School. When he retired from Sunset he went to join the faculty at the Graduate School of Education at Lewis and Clark College, where he had often taught cources. Liz took an economics cource from him when she was earning her MAT and taught with him for a period in the Beaverton School District. Paul Copley has been an instructor at Lewis & Clark's Graduate School of Education and Counseling since 1995. An adjunct until 2003, he joined the full faculty after completing a high school social studies teaching career. After completing an undergraduate degree in history at Lewis & Clark, Paul began teaching in Compton, California in 1968. He earned his M.A. in history in 1971 and returned to Oregon, where he subsequently taught for 32 years at Sunset High School. For 20 of those years, he also served as department chair of social studies. Paul was an adjunct professor in history at Portland State University from 1991 to 2003 and served as a consultant in economics to the College Board between1988 and 2003. His major academic interests are in political economy and 20th-century history. Paul teaches elective courses in both content areas, and serves as a cohort coordinator, specialist, and advisor in teaching social studies with a particular emphasis on constructivist curriculum design and instruction. His research has supported political activism directed toward high-quality social studies teaching in Oregon, and writing content text for teachers in both American history and economics. A memorial service has been set for Sunday, July 17th at 4pm at Beaverton's Foursquare Church. We were glad to have last seen Paul briefly over Christmas. My prayers are with his family. 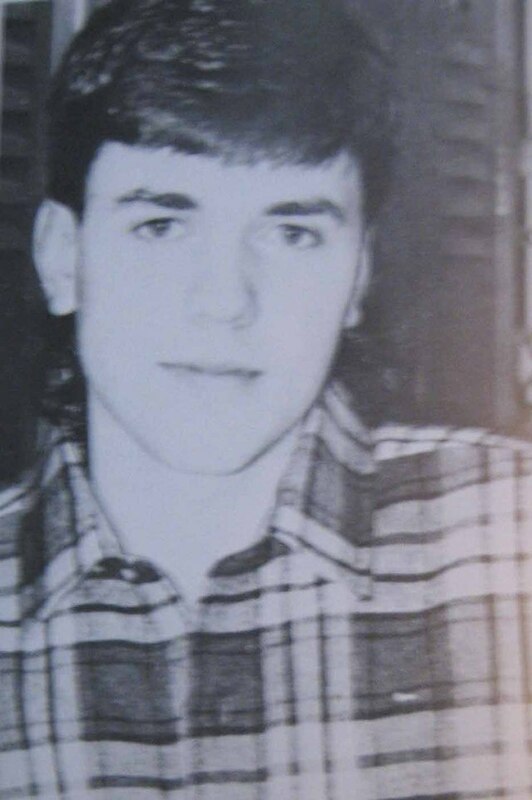 A memorial page on Facebook has been established for friends and former students. The Rev. Dr. Arvin R. Luchs, senior minister of Portland's First United Methodist Church, retired today after ten years in that position and nearly 40 years of ordained ministry in the United Methodist Church, including in the UMC's national communications office. He assumed the pulpit at FUMC when I was serving as the congregation's director of community outreach. During a time of declining membership for mainline churches Dr. Luchs showed that churches that were welcoming and open to all could survive and even thrive. He quickly became more than my boss. Arvin became a friend and mentor and later a trusted colleague in ordained ministry. It was Arvin that I asked to give the "charge to ministry" during my ordination service at Portland's First Congregational United Church of Christ in 2006 (the below pictures of Dr. Luchs are from that service). His pastoral leadership stands as an example for others. First United Methodist Church will miss his leadership but the church will continue on in part because of his legacy. The church universal is fortunate that when God called Arvin Luchs to ministry he faithfully answered that call. No one was surprised to hear that his first act of "retirement" was to join the board of directors of Ecumenical Ministries of Oregon. "Ecumenical Conference on Justice for Dalits"
At a conference of church leaders being convened by the National Council of Churches in India in partnership with the World Council of Churches in New Delhi from 22-24 October 2010, the sin and scandal of caste discrimination right within the church will be the main topics of discussion. Organized as a follow up to the Global Conference on Justice for Dalits in Bangkok in March 2009, the Delhi conference is expected to call on the churches to end caste discrimination in the churches and the society and to be in solidarity with the Dalits in their struggles for dignity, justice and life and for a new social order that is free of caste. About 100 leaders from churches, ecumenical organizations and Dalit initiatives are expected to participate in this event. A new publication, Dalit Theology in the Twenty First Century: Discordant Voices, Discerning Pathways, edited by Sathianathan Clarke, Deenabandhu Manchala and Philip Peacock and jointly published by the World Council of Churches and Oxford University Press (New Delhi) will be presented at the conference. I was very fortunate during my 2003 trip to make friends with The Rev. Raj Bharath Patta, then a student at Gurukul Lutheran Theological College and now the Executive Secretary of the National Council of Churches in Inida's Commission on Dalits. You can read more about the upcoming conference on their website. Sunday, December 5th is being recognized this year by churches in India as "Dalit Liberation Sunday." Please consider marking the day with a special prayer in your church. We just returned from the commitment ceremony of our friends Paul and Wave. Paul is someone that I've known for around 25 years (wow!) and I could not be happier for him and Wave on this very special day. The service was wonderful, filled with joy and God's Holy presence. It was an honor to attend with so many friends. The Rev. Nathan Meckley performed the ceremony. The Rev. Dr. Arvin Luchs read Scripture. Paul and Chuck, old friends. Liz and I both continue to look forward to the day when our gay and lesbian friends are afforded all the same basic rights and legal protections that we have been given in our marriage. As The Oregonian notes, the city of Portland is about to bestow their annual "Spirit of Portland Awards." Two of my favorite people in the world - Loyd Hubbard and the late F. Gene Ediger - are past recipients. These awards are given out to people and organizations that work to promote to common good of our community. I'm always impressed with the accomplishments of those who receive the award. 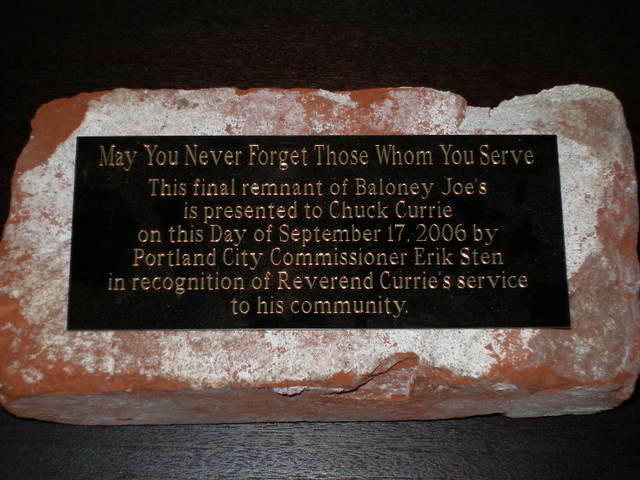 Portland is a great city and we should stop and recognize those that make it even better. Click here for a full list of the 2010 Spirit of Portland Award winners. Steve Duin suggested recently in The Oregonian that Wade Nkrumah had been naive to believe when he took the job as Mayor Sam Adams' communications director that the politician would be honest in his dealings with the press. It wasn't naiveté. It was idealism. Nkrumah, a former reporter for The Oregonian, actually thought the person who held the position of mayor should be forthright and direct and that the mayor's communications director should do the same. But it turned out that Sam Adams didn't understand the definition of honesty and when Nkrumah learned he was being asked to repeat the mayor's lies he resigned only to have the mayor tell the press Nkrumah couldn't handle the stress. Nkrumah sued the city and now that suit has been dismissed (The Oregonian reports an appeal may follow). I for one would like to have more people in politics - not less - who believe that honesty should be a foundational characteristic for political leaders and their staff members. As I've said before, I'm proud to have Wade Nkrumah as a friend. As noted in The Circuit Rider, the newsletter of Portland’s First United Methodist Church, Dr. William Connor passed away last Sunday after a battle with cancer. Oregon lost a giant that day. My experience with Bill Connor, however, was not in the medical world but through our shared faith. Bill and Sonja Connor, M.S., R.D., (Bill’s wife) were both members of First United Methodist Church during my tenure there as the director of community outreach. I had enormous interaction with both Sonja and Bill and grew over time to both respect and love them for their work, for the strong personal commitment they together made to building up the Kingdom of God, and for the ways they touched so many people through their professional lives. Liz and I were honored that it the midst of such busy lives Bill and Sonja were able to attend our wedding. Dr. Connor was a tireless advocate for social justice rooted in the Gospel teachings of Jesus. 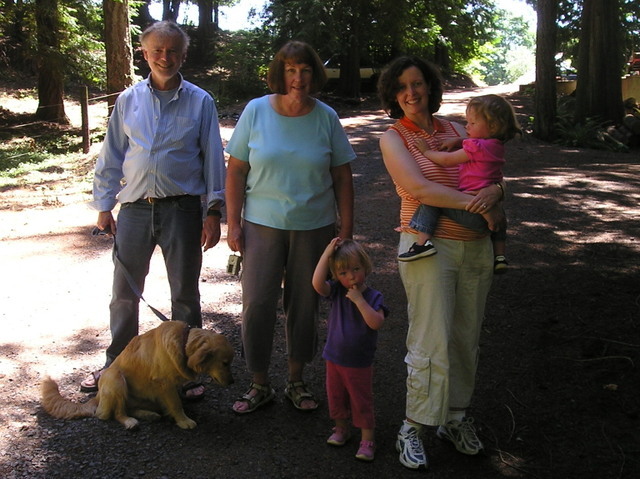 Together with Sonja (now the board chair of the Goose Hollow Family Shelter), he worked to alleviate homelessness and poverty by supporting both social service agencies and public policy proposals meant to help change the conditions that allow poverty and homelessness to grow in the first place. Bill and Sonja Connor were two of the strongest voices in favor of First United Methodist Church declaring itself to be a “Reconciling Congregation” – which means to become welcoming of gays and lesbians. When Basic Rights Oregon presented the congregation in 2000 with a “Profiles in Courage Award” for the church’s commitment to gay and lesbian equality it was Dr. Connor who went to the gala dinner to accept the recognition. As the chair of the congregation's Church and Society Committee, Dr. Connor pushed First United Methodist Church to take early stands against the wars in Afghanistan and Iraq. With Oregon legend Mark O. Hatfield, Oregon’s one time governor and longtime Republican U.S. Senator, and former Republican Oregon Secretary of State Norma Paulus, Dr. Connor launched initiatives to rid Oregon of the death penalty. As a physician and as a Christian, Bill always fought hard against a legal punishment he saw as cruel and fraught with flaws. 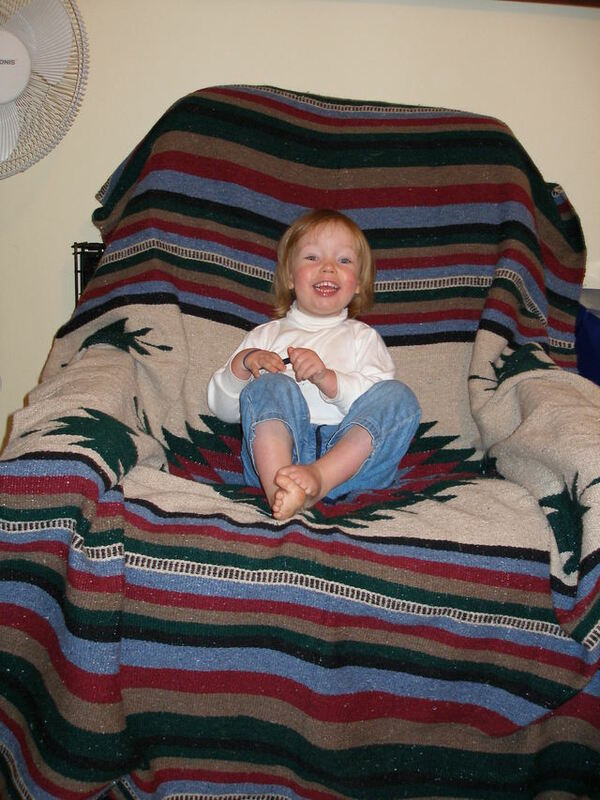 Bill showed a particular kindness in 2005 when I was diagnosed with a rare tumor. He took charge of my medical care, made the appointments I would need with specialists and the surgeon, and was there in the ICU when I woke up after surgery. Because of the team of medical professionals he surrounded me with my recovery was never in doubt. The twins and I were fortunate to see Bill just three weeks before he passed away. He was, as always, concerned more about the world than about himself. On this Sunday, All Saints Day, it is worth stopping to pause and remember all William Connor’s contributions. Please keep the family, friends, co-workers, and congregation he leaves behind in your prayers. Our friend The Rev. Meredith Anderson is in Portland this weekend with her soon-to-be husband Mike. Here's a picture of them with Frances and Katherine. They're in Oregon for a wedding and stayed with us a couple of days. 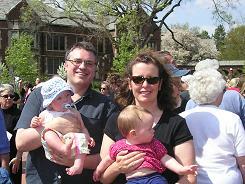 Meredith and I attended Eden Theological Seminary together and she was a BIG help to us when the twins were born. It was great to see her and meet Mike! Meredith is now the associate pastor of Grace United Church of Christ in Two Rivers, WI. Photo: Pat Williams (in the blue and white shirt) talks with Mollie Copeland at an event in the Oregon State Capitol building in 2003. Pat Williams died today. She was a loving mother and grandmother. To all of her friends she was a giving person who always wanted to help out and always brought a gift when she came over. Pat worked with non-profits and the city before taking ill. She was #1 on the list of people waiting for a kidney and liver transplant. But that help didn't come in time. We were on a plane today when she died and so I didn't get a chance to say a last good-bye. The last time we talked was about a week before we left on our trip back to South Carolina. 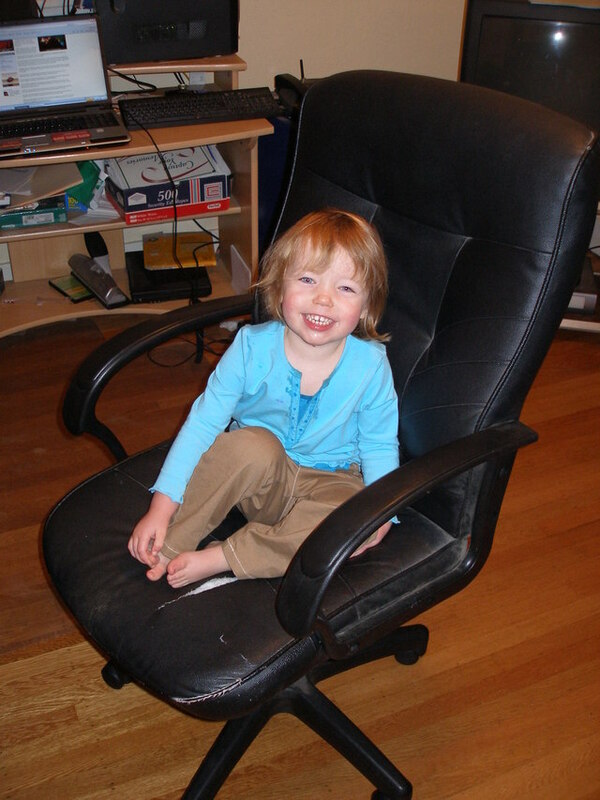 She was in good spirits and hopeful that a transplant would occur soon. Pat and our friend Eileen had made plans to visit my church this coming Sunday. Next week Pat's friends and family will gather and celebrate her life. We'll share stories of Pat's adventures, her generous heart, and of the love that radiated from her. In the meantime, I have a favor to ask. Each day, about 77 people receive organ transplants. However, 19 people die each day waiting for transplants that can't take place because of the shortage of donated organs. None of us ever knows what tomorrow will bring. But we can do something to make sure that if our own life is cut short that others can still live. Click here to learn more about becoming a donor. All of us that knew Pat Williams will miss her forever. Update: Pat's memorial service will be held on Tuesday, June 16th at 3pm at Parkrose Community United Church of Christ. Read the obituary from The Oregonian here. Shortly after a scandal erupted in Portland over allegations that Mayor Sam Adams had an inappropriate sexual relationship with a teen his director of communications, Wade Nkrumah, resigned. Adams told KATU that Nkrumah resigned because the job had been too stressful for Nkrumah but Willamatte Week reported shortly thereafter that Nkrumah had really resigned because he didn't believe Adams was being truthful. Nkrumah, a former long-time reporter for The Oregonian, is seeking more than $162,000 in his claim along with attorney’s fees. The paperwork filed May 14 by Nkrumah’s attorney Michael Hanlon, puts the city on notice that Nkrumah intends to file a claim. In that notice, Nkrumah says he resigned from the spokesman’s job Jan. 26, telling Adams both in a letter and in person that the reason for the resignation was that the mayor had lied to him twice about Adams’ relationship with Beau Breedlove. Nkrumah says the first lie came in the Jan. 15 interview WWhad with Adams in the presence of Nkrumah and Adams staffer Amy Ruiz when Adams denied any “sexual contact” or “sexual relationship of any kind” with Beau Breedlove. Nkrumah says a second lie came in a meeting Adams had on Jan. 22attended by 20-plus staffers at the home of chief of staff Tom Miller. Nkrumah says he asked Adams at that meeting if there had been any “flirting” or “touching” before Breedlove turned 18. “Adams answered unequivocally no,” Nkrumah says in the claim, noting that Adams’ answer was contradicted by subsequent news stories that quoted Breedlove saying he and the mayor had kissed twice when Breedlove was 17, once in a City Hall bathroom. While Nkrumah did not go public with his concerns he did meet with representatives of the Oregon Attorney General's office investigating Adam's relationship. As a reporter for The Oregonian, Wade Nkrumah covered homelessness and neighborhood issues. From the early 1990's until he left the paper for the mayor's office he was my central contact with the paper. We developed a professional relationship and a genuine friendship. Friendships often develop between reporters and subjects / sources. That friendship never meant that he wrote what I wanted. In fact, he often ignored story ideas that I suggested and when I left Portland for St. Louis to attend seminary and he was assigned to write a profile of me he included negative comments on my work from then-Mayor Vera Katz and others. Wade is a friend but first he is a professional. And so when Adams made his comments about Nkrumah to KATU I knew right away that Adams was acting in a Nixon-like manner in an effort to discredit his former staffer. Adams just couldn't deal with the fact that he'd made the mistake of hiring someone with such solid ethics that he would quit his job during a difficult time to find work rather than continue working for someone who could never trust the people of Portland with the truth. I didn't say anything at the time to defend Wade (besides leaving a message on his Facebook page) because I knew he didn't want to get dragged anymore than he already had into the Sam Adams mess. But now that this information is public (Wade did not tell me about the lawsuit...I found out reading the WW website) I can testify to the honor and integrity of this man. Portland could benefit from more people like Wade Nkrumah in the media and politics. "Dan Bravin Will Destroy Your Lawn and replace it with tasty vegetables"
It turns out that Portland City Hall's new vegetable garden is a Dan Bravin production. Dan moved to Portland quite a while back now and we worked together with Burnside Advocates Group and other projects right when he arrived (though most of our time back then was spent with a pitcher of beer somewhere near-by). Now Dan is the founder of Portland Organoponico Project - an effort to teach people how to grow their own food. Willamette Week recently interviewed him for this terrific article. 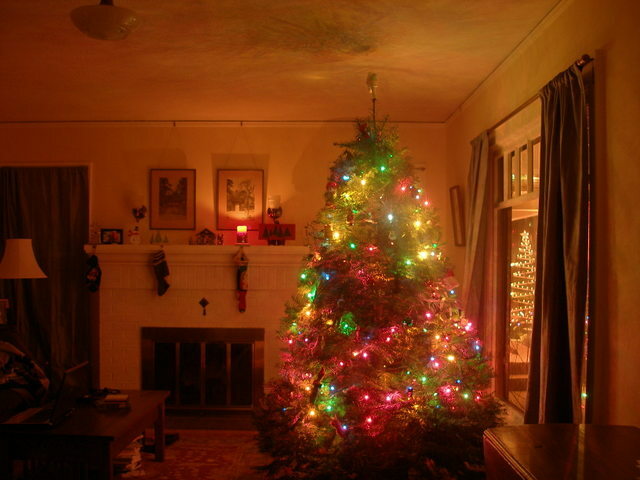 We got our tree yesterday from friends Bill and Caroloe. They run the Wild Goose Christmas Tree Farm - which has a U-Cut for the first time - in North Plains, Oregon. The Rev. Dr. Andrew Weaver, a United Methodist minister and author, died last week. Talk to Action has the story. Andrew is perhaps best know for his work uncovering the connections between the Institute on Religion and Democracy (IRD) and right-wing political figures and funding sources. IRD often vilified Andrew for his work but his scholarship was solid and he brought to light IRD's attempts to undermine the mainline Christian prophetic voice. Andrew's books on pastoral care belong in the library of every clergy person. Andrew and I became friends because of this blog. He made contact with me nearly five years ago and we've keep up a correspondence since then. We met once in person and talked on the phone occasionally. He was a strong supporter of this blog - sometimes commenting himself or sending along story ideas - and I'll miss him. My prayers are with his family and friends. One of the real gifts of the internet is that it has brought me into contact with people like Andrew. Andrew was a true blessing for the United Methodist Church. This morning we made the trek down to beautiful Lincoln City Congregational Church for the ordination of Scott Elliott. Scott was a classmate of mine at Eden Theological Seminary in St. Louis. 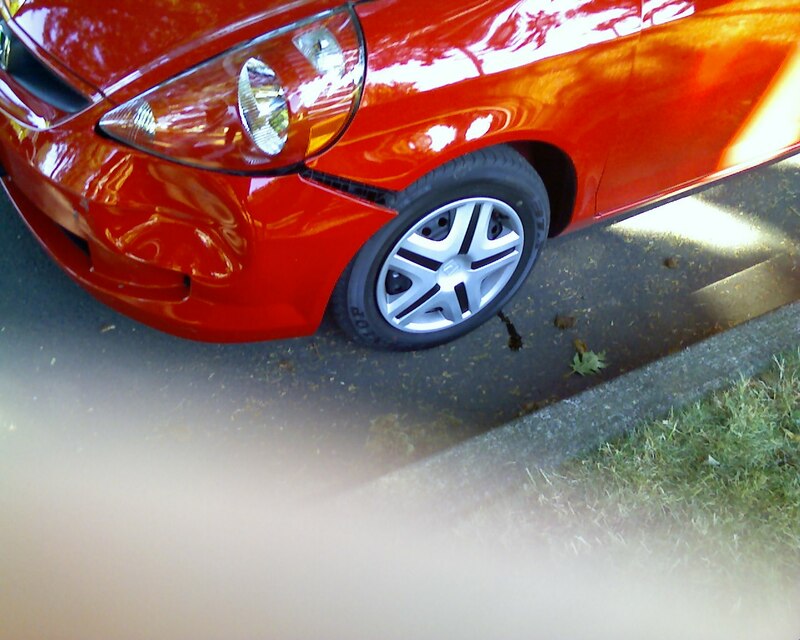 He was the only other Oregonian on campus. Scott considered calls across the United States (there have been none until recently available anywhere in Oregon) and settled on an exciting opportunity to minister at Riviera United Church of Christ in Palm Bay, Florida. His home church on the Oregon coast was packed for the ordination service. 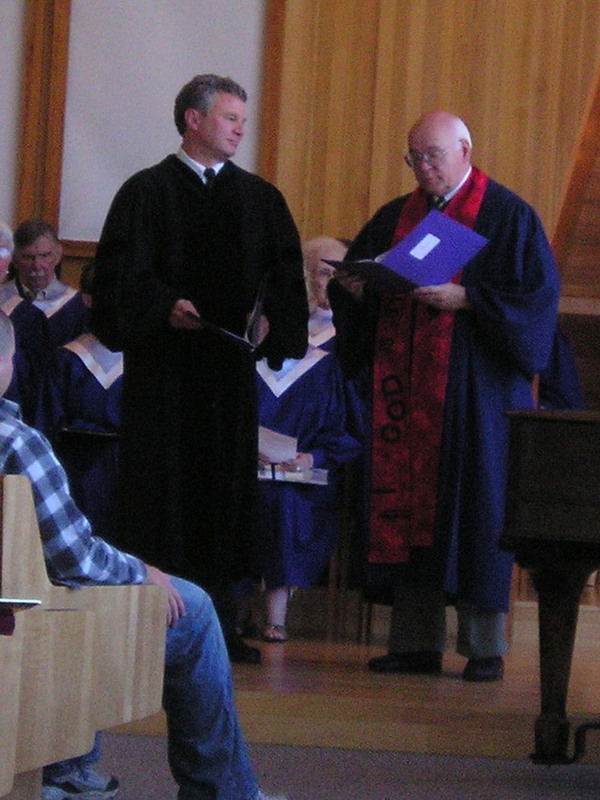 The picture above is of Scott (on the left) with The Rev. John Gantt, interim minister of the Central Pacific Conference of the United Church of Christ. Scott and his wife Nancy, along with three of their four children, visited our house on Thursday morning. Florida is fortunate to get such a good group of people from Oregon and the UCC is lucky to have such a talented new minister. We spent our Saturday afternoon out in North Plains visiting longtime friends (and Christmas tree farmers) Bill and Carole. Liz's step-brother and his girlfriend are also in town visiting us. We're having a great weekend and I hope you are as well. Peace. 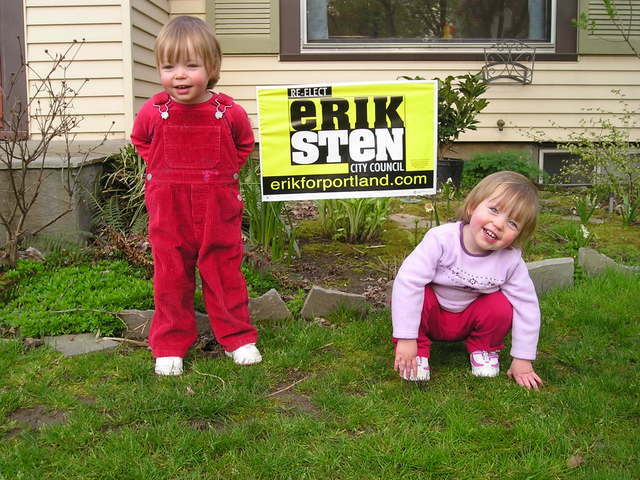 Portland City Commissioner Erik Sten has pushed past the 50% mark today in his re-election bid against a candidate backed by the downtown business community. Sten had been targeted by the Portland Business Alliance (PBA) for his support of campaign finance reform, efforts to expand affordable housing opportunities, and because of his attempt to have the City of Portland buy Enron’s PGE. PBA and their allies poured money into the race and Sten’s opponent waged a fiercely negative campaign. Ginny Burdick, a state senator with a once progressive record, will forever be remembered in Oregon politics for selling out her values in her failed attempt to oust Sten. Portland voters rejected the negativity, however, and have re-affirmed the city’s true progressive roots with a tremendous endorsement of Sten’s leadership and policies. Liz and I were glad to be able to join Erik and hundreds of supporters last night as it became clear that voters were supporting his re-election. Last night it looked like a run-off might be necessary. Additional votes changed the story and Burdick conceded this morning. Congratulations to Erik and to everyone who worked for this important victory. Former US Rep. Les AuCoin (D-OR) has a new blog. Check it out. 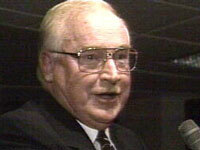 I volunteered on everyone of his campaigns from 1982-1992 and would still do anything for this guy. He represented a swing district and instead of walking down the middle of the road thinking about the next election he fought hard against the Reagan military build-up, he worked to help create a federal response to the homeless crisis, and became the first westerner in Congress to break ranks with the NRA and endorse gun control legislation. Now he teaches and writes. I still can't think of who to vote for in the democratic primary race for governor. Maybe I'll write-in Les AuCoin. 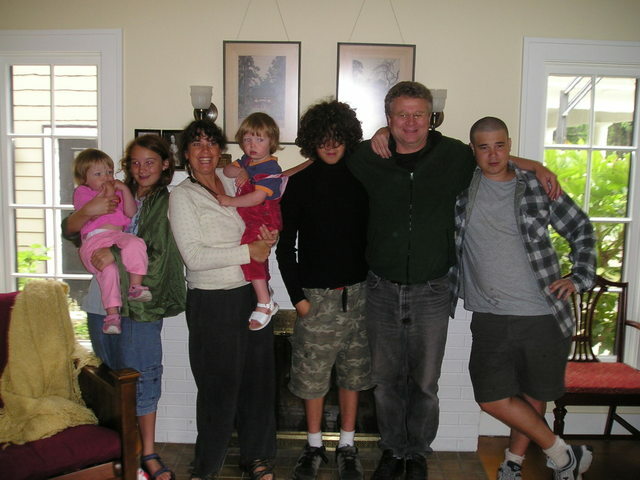 When we lived in St. Louis during my three year stint at Eden Theological Seminary there were really only a few people on campus we could fully commiserate with: our fellow Oregonians Scott and Nancy Elliott (along with three of their four great kids). As the only Oregonians on campus we bonded over our shared love of Tillamook cheese and Oregon legend Marcus Borg and we all brooded away the hot and humid Missouri summer days. So it was a great joy for Liz and me to briefly see Scott today as he arrived in Oregon for his ordination exam. The only way the afternoon could have been better: if Nancy and their kids had been here as well. 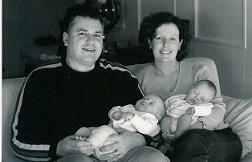 Nancy, along with Meredith Anderson (another close Eden friend), was a life saver for us when the twins were born. We’re disappointed that we won’t be able to attend Eden’s graduation ceremony this May but we hope all our Eden friends remember that our Portland home (which is quite cool in the summer) is always open and visitors are welcomed / encouraged! We've Moved Back To Oregon! We’ve made the move back to the great Northwest and are glad to be here. Movers arrived just today with the rest of our stuff. We’ve spent the last several days unpacking and trying to bring some sort of normalcy to our chaotic lives. 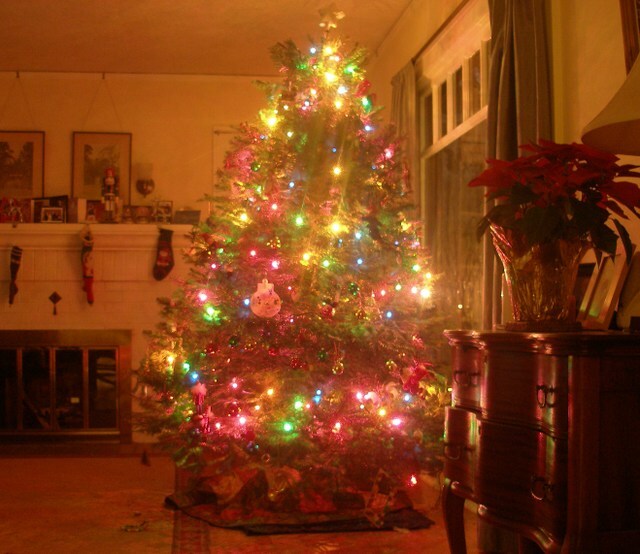 But we already feel so much more relaxed being close to so many family members and friends. Unfortunately, there are periods in our lives when chaos seems to come in waves. That is true for us in this moment. It will be several more weeks before we can declare victory and fully celebrate our move back to Oregon. But we’re very much enjoying the endless opportunities for good coffee and the love and friendship we’ve felt since coming home. The big reason for my trip back to Portland was to take my ordination exam before the Central Pacific Conference of the United Church of Christ’s committee on ministry. Before taking the exam candidates for ministry must write a rather large paper explaining their theology, grasp of UCC polity, and explaining their understanding of ministry. The exam takes place near or at the completion of seminary and after all other references and related materials have been collected and reviewed. A committee of ordained clergy and lay leaders conduct the exam (which is really more like a one-hour interview). You can read more on the process – if interested – by downloading the UCC Manual on Ministry (a PDF file). The good news is that I received word this morning from our conference minister that the committee will be recommending that I be ordained pending a call to ministry. That recommendation is now sent to an ecclesiastical council. This council, which will represent a larger group of people in the Central Pacific Conference of the United Church of Christ, will review the decision of the committee on ministry, hear a presentation from me and ask questions, and will then make a final determination as to whether or not I get ordained. The ecclesiastical council may be called as early as next month. Being back in Portland also afforded me the time to meet with Mayor Tom Potter and tour the center where Katrina evacuees are being processed in Oregon. The mayor and I had a good discussion about poverty in the Multnomah County area. I continue to be impressed with how on top of things he and is staff are. The work at the Katrina center, which is being coordinated through several governmental and non-profit agencies, was also impressive. Dona Bolt, Oregon's homeless education coordinator, arranged the tour. 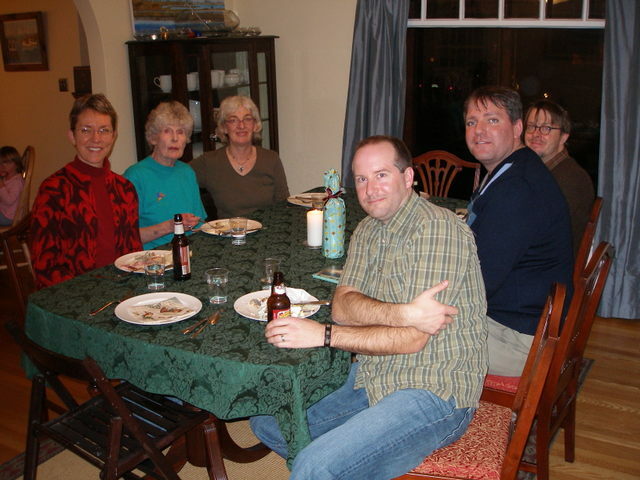 Of course, being back in the Northwest also gave me the chance to visit with many of my family and friends. The trip home was not so great. My flight should have landed in the early afternoon on Monday. But I actually arrived after 2:30 am this morning. Delta is getting another really nasty letter from me. But I'll leave you with a happier photo of some of my family and friends. This was from a nice dinner party at my mother's. We're looking forward to being back in Portland in October and moving back for good in December. 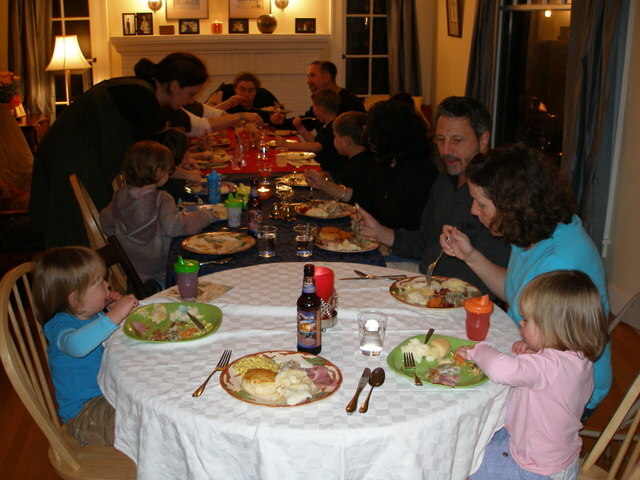 This evening we had a small group of friends from Eden Theological Seminary over for dinner. It was a chance for us to say good-bye to Aaron and Carrie. Aaron graduated from Eden last month and has been called to a UCC congregation in North Dakota. Pictured here are (left-to-right) Meredith Anderson, Scott Elliott, Aaron Roberts and myself. Meredith and Aaron were two of the other Eden students on the study seminar to Southern India that I took two summers ago. Scott is the only other Oregonian among the current group of students at Eden. Below are Carrie (left) and Liz. We're going to miss having Aaron and Carrie around. We made a quick and unscheduled trip out to Oregon and Washington this weekend. Portland’s First United Methodist Church – where I served for several years as director of community outreach – was where I worshiped on Sunday morning. The Rev. Dr. Arvin Luchs (my former boss) preached an excellent Pentecost sermon. FUMC member Paul Nickell (Oregon’s World Wide Pablo) is pictured here. It was a great joy to visit with so many FUMC friends. Mollie Copeland and Christine Paul (both of whom served as managers at FUMC’s Goose Hollow Family Shelter) were very kind in rearranging their schedules and joining the twins and I for coffee before services. The four of us have visited with my sisters, mother and step-father, and a host of friends over a crowded weekend. Powell’s bookstore, Produce Row Café and the new restaurant Gravy were among the many places that between Liz and I we visited. We’re counting the days until we start our move back to Oregon. It won’t be that long. The United Church of Christ has adopted the “comma” as a symbol of our theology as part of the UCC’s “God Is Still Speaking Campaign.” Comedian Gracie Allen is credited with saying: “Never place a period where God has placed a comma.” What does that mean? For many of us in the UCC it means that God still has more to say to us than just that which was written in the Bible. Over 400 people gathered this weekend on the Eden Theological Seminary campus to celebrate the success of that campaign by forming the world’s largest human comma. The UCC’s effort has drawn considerable media attention and resulted in many visitors to UCC congregations across the country. Liz and I were there with the twins. Fellow Oregonian and Eden student Scott Elliot was there with his daughter Forest. Even Pastor Dan's parents were on campus for the event. It was a fun time. The credit for putting everything together (and for the comma photo) goes to the good folks with the St. Louis Association of the UCC.